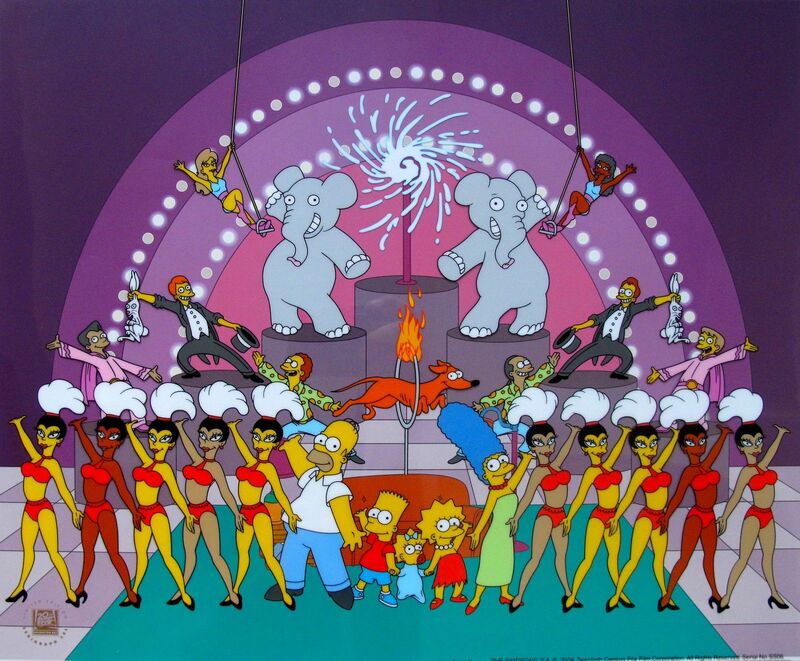 This is a reproduction giclee titled “Simpsons Rock”. 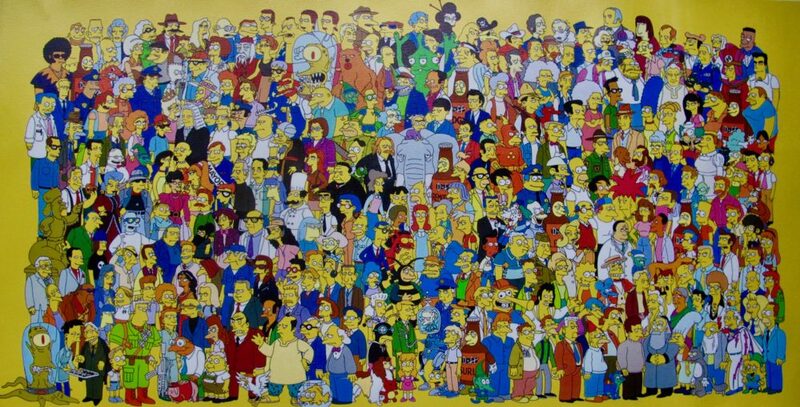 This is a reproduction giclee titled “Simpsons Recurring Characters”. This is a large Limited Edition Sericel of VIVA THE SIMPSONS by 20th Century Fox and Matt Groening.